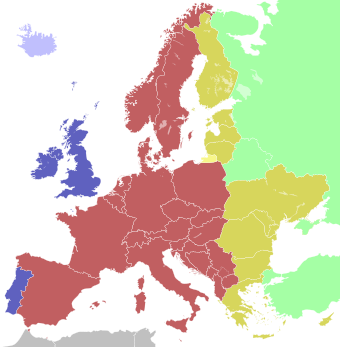 Coordinated Universal Time (UTC) is the standard time system of the world. It is the standard by which the world regulates clocks and time. It is, within about 1 second, mean solar time at 0° longitude. The standard before was Greenwich Mean Time (GMT). UTC and GMT are almost the same. In fact, there is no practical difference which would be noticed by ordinary people. Some websites, like Wikipedia, use UTC because it does not make any country look more important than the others. It offers one time for all the internet (the same time can be used by people all over the world). 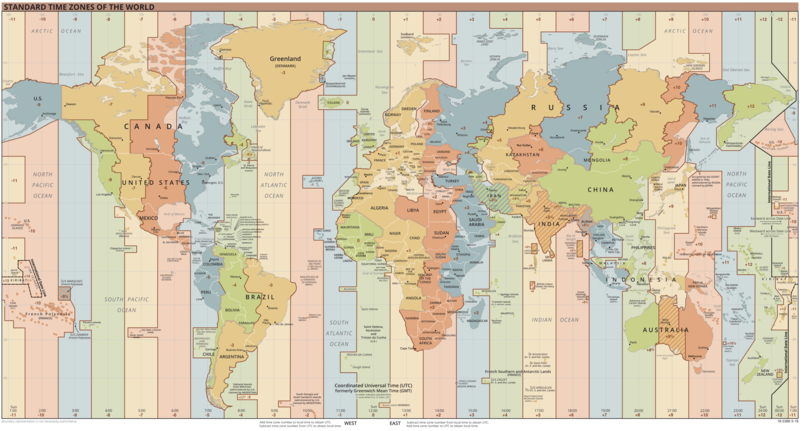 Timezones are often named by how many hours they are different from UTC time. For example, UTC -5 (United States east coast) is 5 hours behind UTC. If the time is 07:00 UTC, the local time is 02:00 in New York (UTC -5) and 10:00 in Moscow (UTC +3). 07:00 UTC is also written more simply as 0700Z (or 07:00Z). Note that UTC uses the 24-hour clock. That means there is no 'AM' or 'PM'. For example, 4:00PM would be 16:00 or 1600. This page was last changed on 11 March 2019, at 05:02.